A couple of TV spots. No information on this one but it’s a big change given that it’s the first since for a while that Western Union has dropped the extra bold, loosely letter-spaced uppercase wordmark that’s so easily recognizable. In the last redesign, in 2013, they introduced a “WU” monogram that is now taking on a more important role (because avatars). The old monogram was a little clunky with how it dealt with the intersection of the letters and had it not been for the thin black line between them it could have been interesting on its own and it matched decently with the old wordmark. The new monogram deals differently with the intersection of the “W” and “U” and it’s fine. Bland but fine. The wordmark is a mystery though: why they did they have to do what they did to the “s” and tittle of the “i”? Uncalled-for customization. It’s not terrible-horrible but certainly not enjoyable. I’m still mostly surprised they dropped the huge block letters as it made them stand out, especially in the smaller towns where they operate. The illustrated TV spots are quite nice, so well done on that. Thanks to Hunter Marroquin Lai for the tip. (Est. 1851) \"The Western Union Company is a global leader in cross-border, cross-currency money movement. Our omnichannel platform connects the digital and physical worlds and makes it possible for consumers and businesses to send and receive money and make payments with speed, ease, and reliability. As of December 31, 2018, our network included over 550,000 retail agent locations offering Western Union, Vigo or Orlandi Valuta branded services in more than 200 countries and territories, with the capability to send money to billions of accounts. 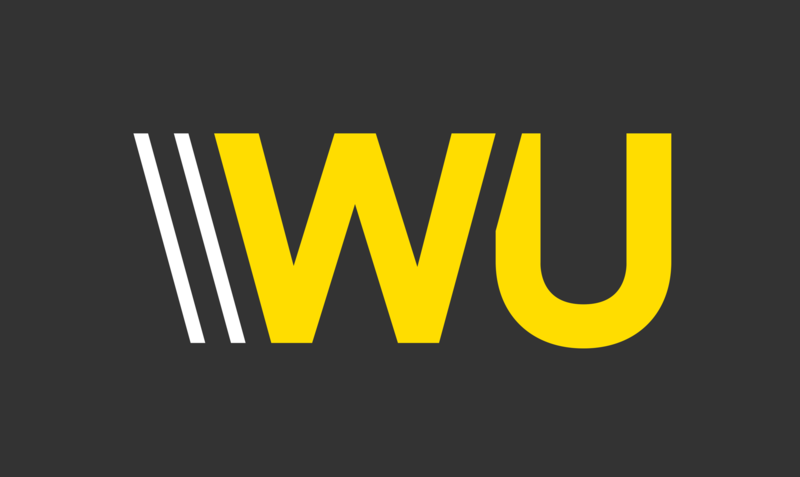 Additionally, westernunion.com, our fastest growing channel in 2018, is available in more than 60 countries, plus additional territories, to move money around the world. In 2018, we moved over \$300 billion in principal in nearly 130 currencies and processed 34 transactions every second across all our services. With our global reach, Western Union moves money for better, connecting family, friends and businesses to enable financial inclusion and support economic growth.\"